After spending an entire summer eyeing a pair of Céline sunglasses, I finally caved. Or better yet, I treated myself. I find it more rewarding when you work so hard for something that you want. It's more meaningful than having something just handed to you. Which is why I decided to treat myself. Every time I see these sunglasses, it serves as a reminder that hard work does pay off. It's never easy, but it's worth putting in effort. 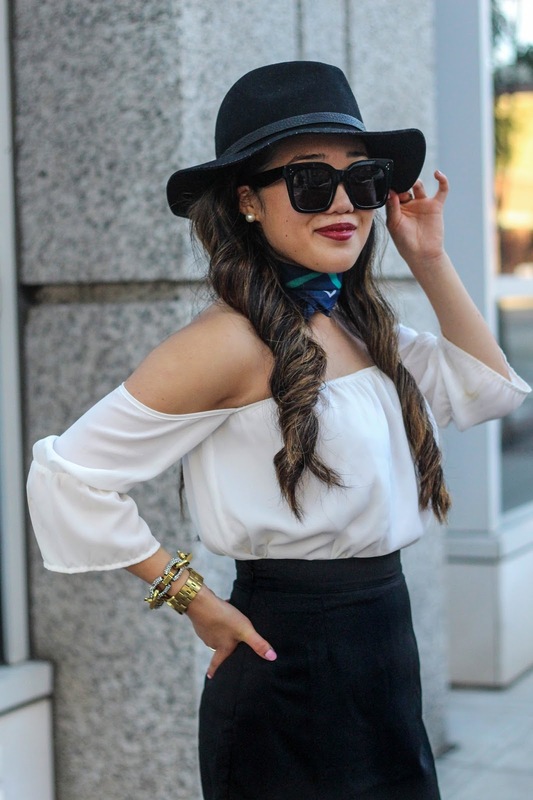 a fun way to style an off-the-shoulder top for fall is to add a neck scarf to the mix. 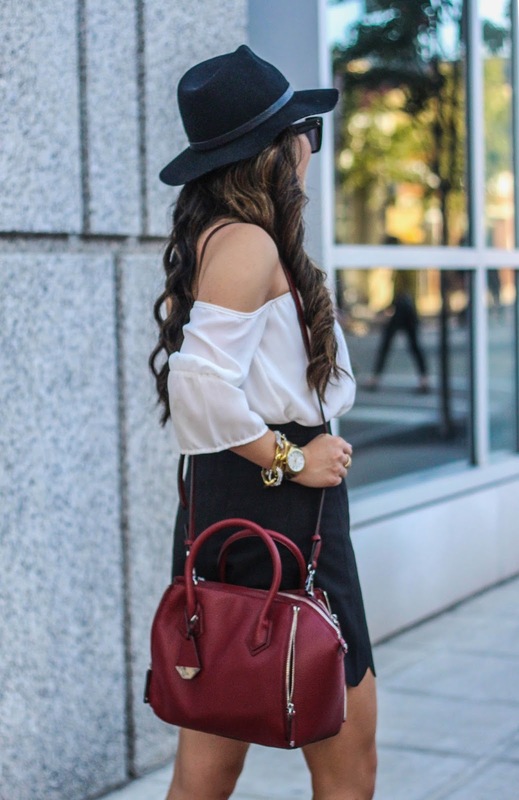 This one is seriously so cute in person and is unfortunately available in the other color. P.S. 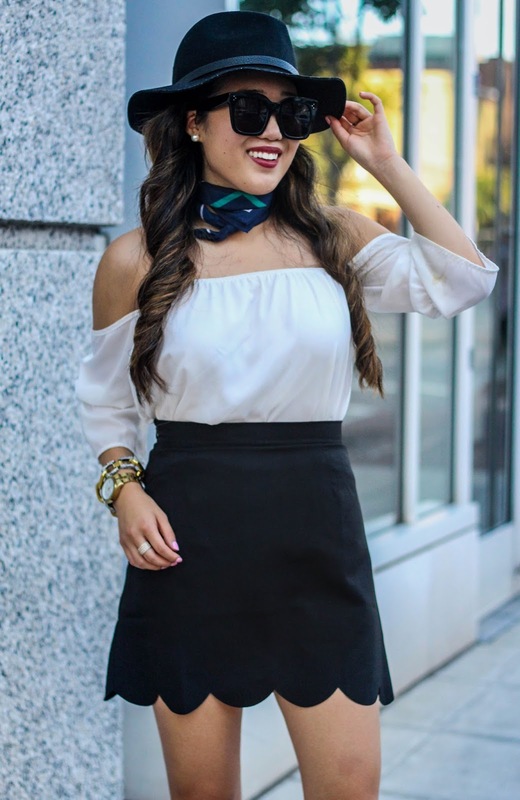 my scallop skirt is ONLY $12 and quite possibly one of the most flattering skirts I've come across.